Sunday Jazz - Jasmine Lovell-Smith may be the upcoming event you’re looking for. Kiwi saxophonist/composer Jasmine Lovell-Smith has recently returned to live in Wellington after 7 years based in the USA and Mexico. This show is an album release celebration for her most recent album 'Yellow Red Blue,' which was recorded with her New York-based quintet Towering Poppies, and released in New York on November 8th 2016 (the night of the most recent US election). 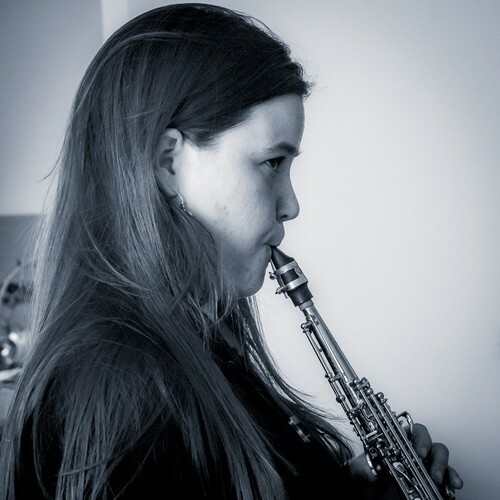 Between 2010 and 2012 Jasmine lived in New York City, where she formed her quintet Towering Poppies, and in 2012 she moved nearby to Connecticut to study towards an MA in composition with the experimentalist composer and saxophonist Anthony Braxton. More recently she has been living in Morelia, Mexico, where she had the interesting experience of teaching jazz studies and the saxophone in Spanish at the State University. Jasmine has returned to Wellington to pursue a DMA in composition at the NZSM studying with John Psathas. She is excited to be sharing her music with a Wellington audience once again.